Production from Exxon’s and Chevron’s oil wells also fell short of forecasts, limiting the drillers’ capacity to capture resurgent crude prices. Exxon and Chevron stood in sharp contrast to ConocoPhillips, which wowed investors on Thursday by lifting dividends and share repurchases on the back of a penny beat on profit estimates. Royal Dutch Shell Plc, whose market valuation places it squarely between the U.S. drilling giants, also was flogged by investors when its own results on Thursday showed a weaker-than-expected outcome from the Anglo-Dutch company’s fleet of refineries. 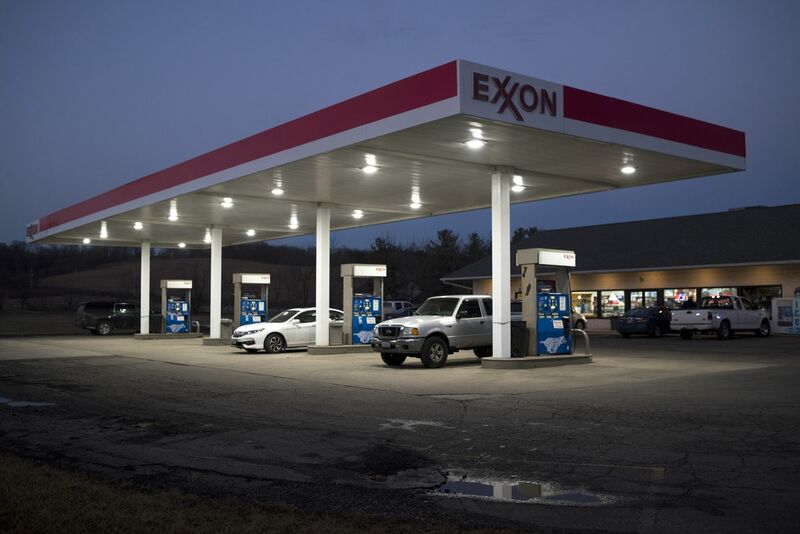 The fourth-quarter results hit as both Exxon Chief Executive Officer Darren Woods and Chevron’s CEO Mike Wirth, who stepped into the role on Thursday after being named CEO-in-waiting in September, are gearing up for significant production growth over the next three years. Exxon’s Woods, meanwhile, last week said that company has signed off on $10 billion of acquisitions in the U.S., Brazil and Mozambique, and is forging ahead with a major exploration venture in Guyana, off the coast of South America.